Buy the top-rated and tested day packs for hiking, backpacking, camping and outdoors adventures. Are you searching for the best daypacks for your next camping, hiking or outdoor trip? best hiking daypacks: ranked, reviewed, and tested for quality. For starters, the best hiking daypacks are built tough. Heavy-duty materials and perfect construction are musts. Beyond construction, a great pack should have enough room for a day hike – 15-35 L is standard – and be capable of balancing moderately heavy loads. 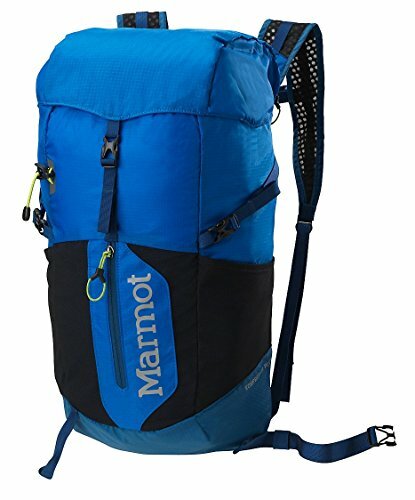 Looking for a new hiking daypack? We’ve reviewed some of our favorite all-around hiking backpacks before. And that list included a few of our favorite daypacks. But we wanted to focus solely on do-it-all daypacks in this round-up. These are our favorite hiking daypacks of the year. Each offers its own versatile features, and whether you’re heading out on the trail, taking a cross-country flight, or prepping for summit day, these daypacks are the best of the best. #1: Osprey "Talon 22" Daypack | Editor's Choice! The Best DayPack of the Year - Award. You can’t go wrong with an Osprey pack. They’re built tough, designed for adventurers, and they’re loaded with features. That’s certainly true of the Talon. One of the most iconic daypacks on the market, the Talon – or Tempest for women – is far-and-away our favorite daypack. Here’s why: the Talon has everything you could ask for from a smaller daypack, from great ventilation and cushy harnesses, to a small footprint (the Talon weighs just about 1.6 pounds.) The ventilation is a real winner. The Talon features Osprey’s newly updated AirScape back panel. The back panel provides support, but is still super-breathable. That’s matched with ventilated chest and hip harnesses. Thanks to these awesome ventilation innovations, your back will stay dry on on those speedy day hikes. Plus, the harnesses are designed for a tight wrap, keeping the load secure against your back. You can’t beat Osprey’s fit! The adjusting hip belts allow you to tighten the load, and they’re padded well. For adventurers, the Talon also has a lot of useful features, including trekking pole attachments, a helmet carrying system, and an external hydration system. Bottom line, there isn’t an adventure this pack isn’t prepared for. 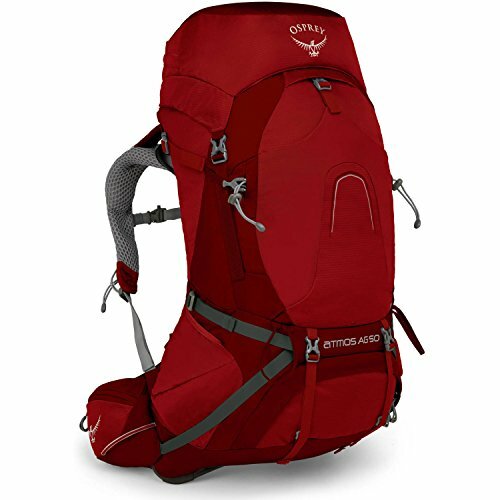 Pros: Osprey packs are known for their impeccable fits, and that’s something the Talon does exceptionally well. The pack hugs the body and provides perfect support. Cons: The hip belt pockets seem like an afterthought. There isn’t much room for any useful gear. Final Verdict: The Talon is built for just about anything – from cycling, to climbing, to hiking. Hands down, it’s one of the best all-around daypacks. We definitely recommend buying an Osprey Talon 22. >> Learn how to buy your Osprey Talon 22 today! The Rim Runner has been on the market for years, and since its inception, it has undergone numerous iterations. The latest Rim Runner, though, is one of the best. The pack has been slimmed down and it’s lighter. Now, it weighs just over 1.5 pounds. The Talon also has been fitted with an updated 2.5L Crux hydration reservoir, which is larger and was redesigned for more convenient filling and easier drinking. That’s a noticeable plus about this pack – it’s built for easy hydration. Beyond the hydration, the Rim Runner is also fitted with a padded mesh back panel that’s breathable and plush harnesses. The result is a solid, fit-to-form feel that balances weigh particularly well. The new Rim Runner features eight external pockets, including a couple on the hip belt, and two large stretch pockets on each side. Inside, the pack also features a few different pockets, which makes it easy to stash and organize your gear. Another added bonus: the Rim Runner is available in a few colors, including a cool looking dark teal. Pros: CamelBak knows a thing or two about hydration. And in terms of hydration compatibility, the Rim Runner is one of the best daypacks on the market. Plus, the updated Crux bladder, which is included, makes fill-ups easier to manage. Cons: The 19.5 L capacity sits is about average for a small daypack. Although, in the Talon, 19.5 L feels a bit cramped. If you do a lot of fall/winter hiking, you might need a more spacious rig. Final Verdict: There’s a reason the Rim Runner has long been a favorite daypack. It’s lightweight, makes hydration easy, and it’s built tough. Bottom line, it’s a great tactical hiking bag. >> Learn how to buy the CamelBak Runner 22 Crux! The sleek Kompressor from Marmot has the look of an overnight backpack. It’s much more technical in appearance than a lot of the daypacks on the market, and as all the features to back it up. 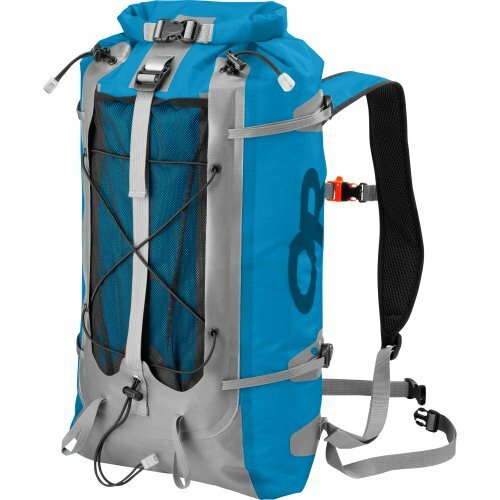 From a single trekking pole/tool clip, to an easy-access hydration port, lid top and full-body compression, this 20-liter pack offers plenty of space and functionality. Not to mention, the Kompressor is an ultra-lightweight daypack. It weighs just 13 ounces, making it ideal for ultralight hikers. Plus, the pack is built with quality components, including a shell made of 70D ripstop nylon and 135D polyester lining, and a closed-cell foam back sheet. In short, it’s durable, without being super weighty. There’s also plenty of room for the 10 essentials, and with dual compression straps, you have a lot of flexibility in how you can tighten loads. The only shortfall: the Kompressor doesn’t offer much in terms of padding. The shoulder straps and hip belt are minimalist, which helps keep down weight. But also limits how much weight you can carry comfortably. Pros: The Kompressor is one of the best ultralight options on the market, and it comes with tons of useful features. This isn’t a nylon stuff sack. Cons: The suspension system is minimalist. That means little padding on the straps and hip belt, and the breathability of the back sheet is just OK. Overall, if you’re carrying a heavy load, you might run into comfort or sweat issues. Final Verdict: If you’re hitting the trail for a quick out-and-back, the Kompressor is an ideal choice. >> Learn how you can buy the Marmot Kompressor Plus Daypack! The Scrambler has the looks of a minimalist pack. But this 30 L daypack is big on features and functionality. For starters, the Scrambler features Mountain Hardwear’s OutDry technology. (That means the entire shell of the pack is wrapped in a breathable, waterproof membrane.) That makes it one of the best waterproofed daypacks on the market, without adding tons of weight for coated fabrics. This pack also provides tons of space for climbing or hiking gear. There are two massive external pockets on each side, which are perfect for easy access to essential gear or water bottles. The trampoline style back panel is breathable and with plenty of padding, and the straps are backed with a soft, breathable mesh. A few other adventure-ready bona fides include a rope strap, easy-access hydration, carry loops, and reinforced gear loops at the bottom for your climbing gear or skis. Pros: The Scrambler is one of the most beautifully designed. It’s streamlined and minimalist, but provides plenty of the features you’ll need for climbing or hiking. Cons: You’d expect a 30 L pack to have a more substantial suspension system. If you’re carrying a full load, it can be more of a challenge to balance. Final Verdict: The Scrambler makes a great trail pack for short and dirty adventures. Plus, it’s guaranteed waterproof, a huge bonus for skiers and ice climbers. >> Learn How to Buy the Mountain Hardwear Scrambler 30! In terms of hydration packs, the Inertia is one of the most sophisticated on the market. It has a sleek, streamlined appearance, and stays close along the back. It’s lightweight, weighing just 1.4 pounds, and the pack’s integrated hydration sleeve – which features a clip-in, hanging system – is convenient and easy to access. For a smaller pack, the Inertia is designed for carrying just about anything you’d need for a day hike. 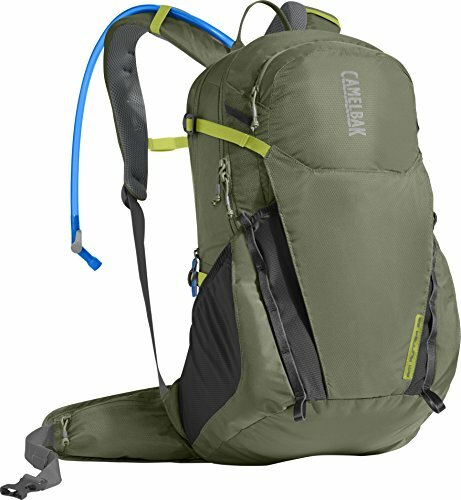 The pack carries up to 20 pounds, and features the brand’s signature Momentun Hydro suspension system. The Momentun Hydro system includes a lot of useful features, including load lifters, air mesh straps, and a comfortable back panel. The best feature of this outdoor day pack is the hydration system. The pack comes with a three-liter bladder that hangs in a sleeve in the middle of the back. That allows the weight to balance evenly, and it’s perfect if you’re carrying a full load. Pros: If you’re looking for a hydration pack for day hikes, this is an awesome choice. The bladder features an integrated drying hanger and Gregory’s 3D QuickDry technology, plus it’s super easy to install. Cons: When you’re carrying the full three liters, the Inertia can feel a little cramped for space. Final Verdict: If you’re goal is to hit the trail, without carrying too much gear, the Inertia is a great lightweight hydration pack. 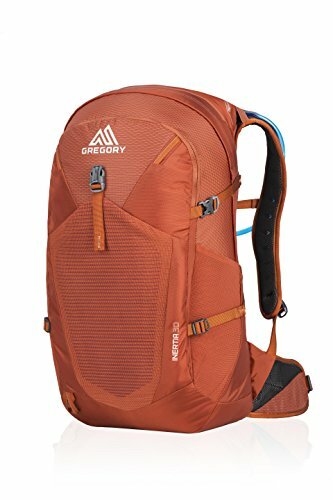 >> Learn how you can buy the Gregory Mountain Daypack! The Redwing 32 is a pared-down version of Kelty’s larger best-selling Redwing day packs. Yet, even though it’s smaller, this pack has tons of incredible features. For one, the Redwing 32 is well-organized. There are six exterior pockets, including an easy-access stash pocket for grab-and-go gear. (It’s the perfect spot for a rain cover.) Plus, the Redwing 32 works as both a top-loader and panel-loader, thanks to its dual-access system. One of the best features is the Redwing 32’s suspension system. The pack features an HDPE frame sheet, which is a high-density plastic internal sheet that provides great stability. The back panel features a hex design and is wrapped in breathable mesh. The geometric design allows for great ventilation, and the panels are matched with load lifters, padded shoulder straps and comfortable hip belt. Not to mention, the Redwing 32 hugs the line between daypack and overnight pack. With a capacity of 32 liters, you can stow plenty of gear. You might have enough space for a minimalist overnight trip. 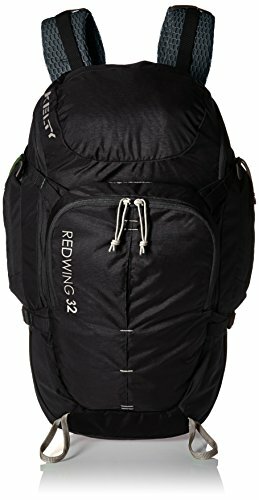 Pros: The Redwing 32 is super spacious, and offers a great size increase over 25- or 30-liter daypacks. Plus, the pack’s side trekking pole system is sturdier than most. Cons: The Redwing 32 is fairly heavy for a daypack, coming it at two pounds. If you’re looking for an ultralight pack, this isn’t it. Final Verdict: The Redwing 32 is a tactical pack that’s more overnight hiking backpack than daypack. A great option if you carry lots of gear. >> Learn how you can buy your Kelty Redwing 32 Daypack! Looking for a durable, waterproof daypack with plenty of space? Consider the Ridge Sack from Outdoor Research. It looks fairly minimalist in design, even small. But looks are deceiving. The Ridge Sack is bigger and more versatile than you’d expect. For one, the Ridge Sack has a capacity of 34 L, which can be accessed through the roll-up top. This provides plenty of space for all the essentials (in fact, it’s fairly large for a daypack). But there’s a catch: The Ridge Sack doesn’t have a traditional frame sheet or back panel. That means it’s not designed for carrying heavy loads. You can get away with about 15 pounds, but more than that, and you might experience some barreling. What this pack does great is its waterproofing. The Ridge Sack features a lot of Outdoor Research innovations, especially with daypacks for hiking. The fabric is a 70D nylon, and that’s matched with welded seams and a roll-up top (similar to most dry sacks). That helps waterproof the entire pack. Plus, the Ridge Sack has a few useful exterior features. There’s a narrow mesh/bungee pocket on front for quick access to the essentials, bungees for two ice axes, and plenty of tightening straps. Pros: Hands down, this is one of the best waterproofed daypacks. The roll-up top and welded seams ensure all of your gear stays dry, no matter the conditions. Cons: The Ridge Sack is not hydration compatible, and there really isn’t a perfect solution for getting a hose out of the main compartment. Final Verdict: If you’re looking for a secondary pack for summit runs, the Ridge Sack is an incredible choice that stows fairly well. >> Learn how you can buy the Outdoor Research Day Pack / Backpack! The Monterey hugs the line between daypack and dry sack. It’s built for getting wet, and that makes it one of the most versatile daypacks on the block. But for as versatile as it is, the Monterey looks really cool too. The pack has clean design lines, and a nifty charcoal grey color pattern (although a jet-black option is available as well). Plus, you’ll find hidden stretch pockets on the front and sides, which look seamless and add tons of space. This daypack does exceptionally well in wet conditions. On the sides, you’ll find draining pockets, which are perfect for carrying wet gear. They provide quick access, and make it easy to stow things you aren’t worried about getting wet. The Monterey’s dull hull design – a waterproofed shell with a dry bag inside – provides solid protection from the elements, as well. The suspension system adds plenty of comfort too. The Monterey’s EVA back panel is stiff, but still with a bit of cushion. It’s built from molded foam, and that adds great stability and support. The straps and hip belt are made from a cushioned mesh fabric, too, which adds to the overall comfort. Pros: The Monterey does the duty of a dry sack, with the comfort and support of a hiking backpack. Plus, the suspension is great and makes it feel like you’re carrying a smaller load. Cons: The pack’s interior dry sack isn’t the best organized. Without any interior pockets, it can be hard to keep track of your gear. Final Verdict: The Monterey gets rave reviews for its versatility and comfort. It’s great for everything from mountaineering, to your daily commute. >> Learn How to Buy the Boreas Muir Woods Daypack! The Brize from Arc’teryx checks all the right boxes for a daypack. It’s spacious, well-organized, hydration compatible and the suspension is well-ventilated and comfortable. Bottom line, you can log a lot of miles with a pack like this. 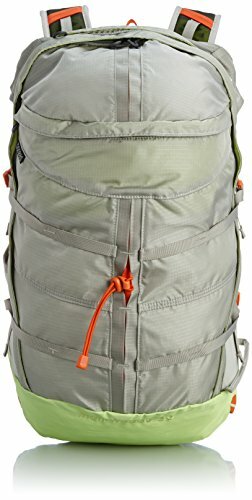 In terms of organization, the Arc'teryx Brize daypack for hiking is incredible. It’s a top-loader, with a fly that faces towards your back when you’re wearing it. That’s not common in most daypacks, but isn’t obtrusive on the trail. You’ll find a bunch of external pockets as well. There’s a main grab-and-go stash pocket on the front, as well as two roomy stretch pockets in each corner. The Brize also features daisy chains on both sides, which are convenient and don’t get in the way. One benefit is the amazing daypack's suspension. The Brize features a Thermoformed mesh back panel that features little patterned divots. This maximizes the panel’s breathability and provides great ventilation. The suspension also includes load lifters, a sternum strap and a hip belt. The hip belt isn’t as cushy as you’d expect. It primarily provides stability, and with larger loads, you might not get the comfort you need. But overall, the comfort is on-point for a larger footprint daypack. Pros: The Brize has tons of exterior and interior pockets, making it easy to organize your gear. Plus, the back panel is designed for great airflow – maybe the best-designed of all the daypacks we reviewed. Cons: The hydration sleeve is easy to access, but routing the hose can be a bit confusing. It’s not the best positioning for the hydration hose – it comes out at the top of the back panel. Final Verdict: The Brize wears many hats. It’s a technical daypack – great for mountaineering or hiking – but it’s also great for travel. This is a pack you’ll also grab on your way out the door. 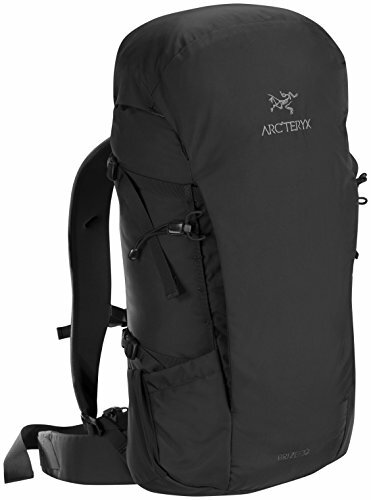 >> Learn how to buy the Arc'Teryx Men's Brize Backpack/Day Pack! Osprey’s Daylite packs weren’t always meant to be standalone bags. In fact, the first Daylite packs were accessories. They clipped to the front of the brand’s larger hiking backpacks, a feature that continues to this day. But the Daylite has changed in some big ways. Today, it’s one of the best small daypack on the market. It’s light, functional and super comfortable. This is a panel loader. You can access the main compartment through a large horseshoe-shaped front zipper. Inside, the pack has several compartments – which are great for organization – as well as a hydration sleeve (or a tablet). On the sides, you get dual mesh pockets in the corners, as well as a small key or gear clip. For a lightweight day pack, the Osprey also gets great suspension – something we’ve come to expect from Osprey. The Daylite features a sturdy frame sheet that balances the load across the back panel, which is padded with plush foam. The hip belt also features a breathable webbing that adds support. Pros: The Daylite is compatible with a number of Osprey’s best-selling packs including the Aether/Ariel and Volt/Viva. You just clip it on, which is great for adding additional gear. 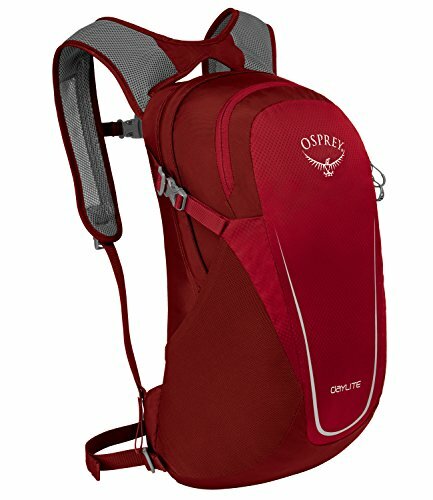 If you have an Osprey pack, this might be the perfect complement. Plus, the pack is also super lightweight. Cons: The only real issue is the pack’s size. At 13 L, it’s just big enough for the essentials, but not much else. It would also benefit from an external pocket on the front. Final Verdict: The Daylite might be small, but it’s mighty. This is the perfect lightweight bag for a quick day hike. Overall, still a great option for camping, hiking and all-around daypacks. 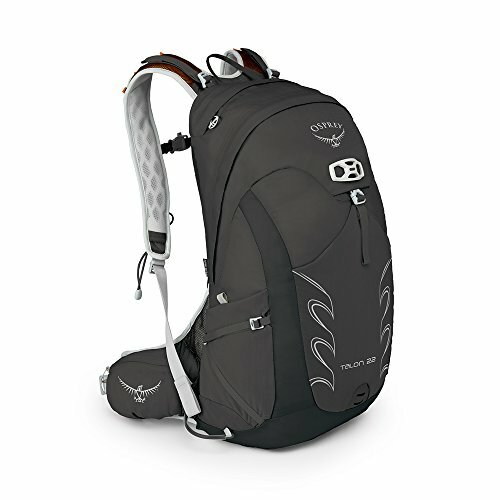 >> Learn how to buy an Osprey Backpack! Now you know the best day packs to buy, it’s your turn! With so many options on the market, it’s hard to narrow it down to a list of 10 of best daypacks. But these packs represent some of the most innovative, comfortable and versatile daypacks on the market. They’re designed for just about whatever you throw their way. Whether you’re climbing, hiking, biking, or just walking to the coffee shop for work, you can get great mileage from these packs. Think we missed your favorite daypack? Let us know. Connect with Angel Outdoors on social media... Online Outdoor Gear Reviews! 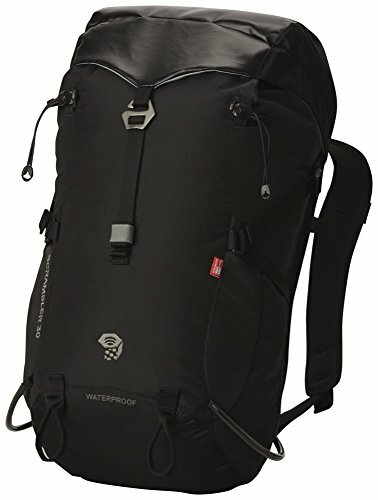 BEST DAYPACKS for CAMPING, HIKING AND OUTDOORS! Ratings. Get Your Best Daypacks List!